I'm very excited about the release of Harper Lee's Go Set A Watchman tomorrow, but it's a hesitant sort of excitement. I like to avoid buzz if I can, preferring to form my own opinion before reading through someone else's eyes, so I've tried to steer clear of spoilery stuff. But it's hard to avoid. The literary world is spinning, and I guess rightly so. Harper Lee has managed to maintain an almost Emily-Dickinson-like silence since the sixties, adding to the allure already created by the near-mythic nature of her "just one novel" history. But the fact that Lee is now living in a nursing home, having suffered a stroke in 2007, makes me nervous that perhaps the magical discovery of this 'prequel-written-sequel to Mockingbird' isn't all it's cracked up to be. Apparently Lee hasn't reread the manuscript, which seems an unlikely choice if she were actively involved in the publication project. I hope she has agency here, but it's hard to tell. Then there is the fact that the preorder price for this book is incredibly high. The lowest I was able to find here in Australia when I was placing my order was $30, which is definitely on the high end for a not-particularly-long text. Physical bookstore prices I've seen hover around the $32-45 mark. Since this is substantially higher than other similar-length hardcovers on the market, I can't help but feel that publishers are capitalising on the buzz. I understand it; bookselling is a business just like anything else. But it feels a little wrong. Why does the book need to be so much more expensive than others? Another facet giving me pause is the fact that Watchman is, in fact, Mockingbird in its infancy. Harper Lee's editor took a look at the manuscript -- voiced by an adult Scout -- and suggested Lee rewrite it from the perspective of Scout as a child. Go Set a Watchman was shelved and To Kill A Mockingbird was born. Perhaps the editor was an idiot; Watchman was brilliant, and Mockingbird proves to be a mere foretaste of that. Or maybe the editor had some actual chops and made a wonderful editorial call, drawing from Harper Lee something even more polished and excellent. If the former proves to be true, then we are in for a real treat. But if it's the latter -- and this is where my anticipations lie -- then Watchman will be fascinating, but not brilliant. It might simply read like the early draft of something that needed serious polishing in order to make it great. Finally, there is the conversation milling around the fact that Watchman's Atticus Finch is quite a different character to the kind, politically correct, and-nerdy-hot dad of Mockingbird. If early reviews are accurate, Watchman's Atticus is quite the bigot, voicing a whole slew of racially-cruel remarks. This of all concerns, however, is the one that haunts me the least. 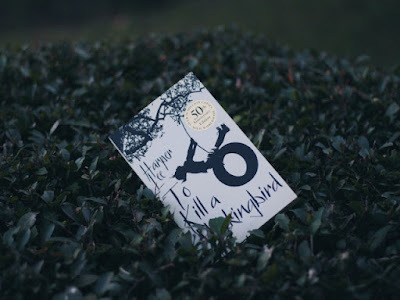 I'm a hopeful writer not worthy to kiss the ground Nelle Harper Lee walks on, but I can recognise that two drafts of a novel are not the same novel, and in the same way, a rewritten character may become an entirely new person. Some fans are worried that reading about a racist Atticus will taint their vision of the "real" Atticus, but I think -- I hope -- that it'll be possible to read both Atticuses as their own, distinct characters. Van Gogh painted many self-portraits, but we'd never superimpose them on one another and claim one to be the Definitive Van Gogh and all the rest mere copies that either add or detract from the original. In the same way, I hope that we'll be able to read both Atticus Finches as disparate characters that reveal different aspects of Harper Lee's mind, motivation, and imagination. For all his shining ways, Mockingbird's Atticus Finch was not a perfect character, criticised by some as a warped picture of well-meaning but miguided white superiority condescending to assist those "less fortunate." Perhaps a grumpy, cruel, and bigoted Atticus Finch will teach us things that the kind and noble Atticus never could.